Ricardo at My Japanese Green Tea posted the latest episode of his podcast. In it, he interviews Robert Wemischner, the author of Cooking with Tea, about pairing green tea with cheese. I love cooking with tea and Robert described several techniques that I’d like to give a try. Tea wilted greens and poaching fruit with tea are next on my to-do list! Tips for Taking Your Tea to the Beach! Sara at Tea Happiness is the master at taking her tea al fresco. 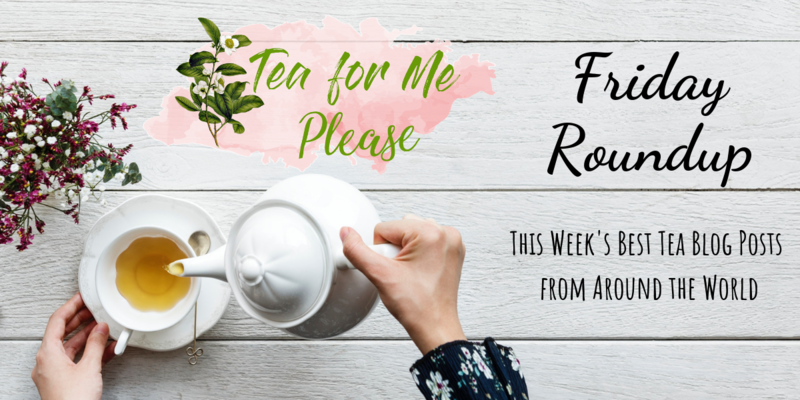 This week she shared some practical tips for making tea at the beach. There are so many things I hadn’t thought of that would make traveling with my tea gear much easier. I may just need to take a trip to Coney Island soon to test them out. There have been a number of posts in the roundup this year bemoaning the rising costs of tea, especially puerh. Cwyn gives us a welcome change of pace, sharing her experience with a surprisingly affordable offering from White2Tea. Carmel huigan is all I need to read to tell me that this is a tea that I should try. Megan at Tasting Teas shared a wonderfully whimsical video review featuring some very demanding tea pets. Who knew that wizards and tea went hand in hand? It was nice to see that she is as much of a bookworm as I am as well. Taiwanese black teas are some of my favorites. They’re seriously underappreciated! Puerh storage can be a very contentious issue. It can take a lot of experimentation for most tea lovers do dial in the best practice for the climate where they are. Marco at Late Steeps shared an interesting comparison of the same tea stored two different ways. The schematic of the Coleman cooler definitely gave me some food for thought as I’ve been trying to figure out a long term solution for my own tea stash.